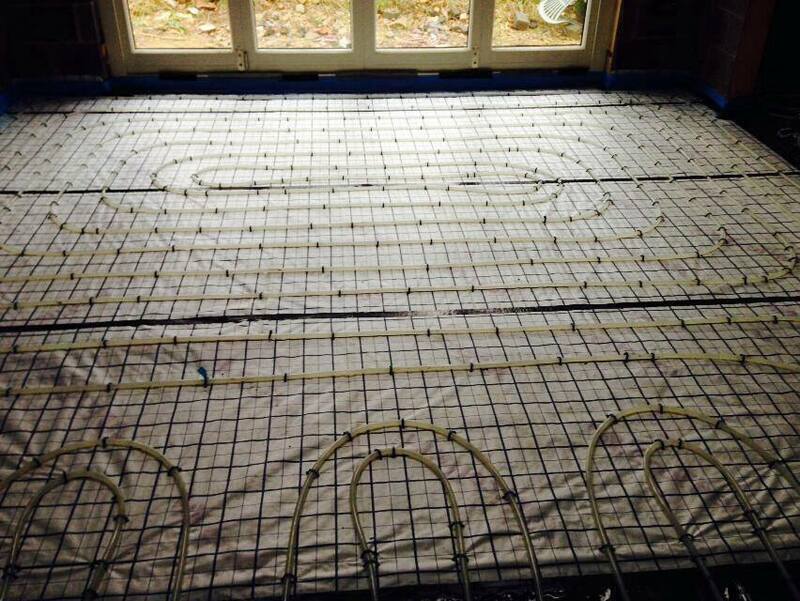 The project was 180m2 of wet underfloor heating installed over two floors of the property. Using the tacker system, clipping directly to the insulation with a bonded grid membrane allowing a fast and tidy installation. 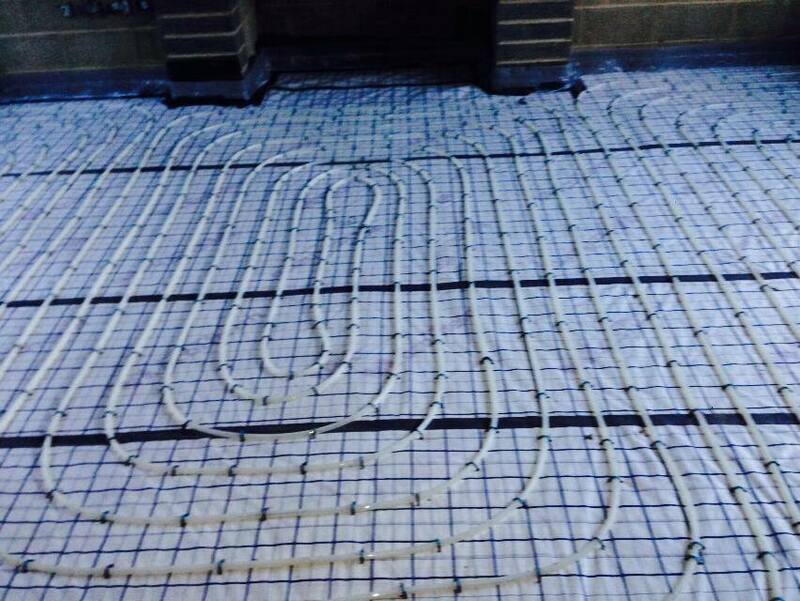 The UFH Pipework was installed at 150mm centres to maximise the output of the floor – as the heating source on the scheme was an Air Source Heat Pump with a flow temperature of 40° c.
Once installed and pressure tested with water the system was covered with a Tarmac Agilla Screed A – low laitance screed with over 180m2 laid in half a day with only 3 men.